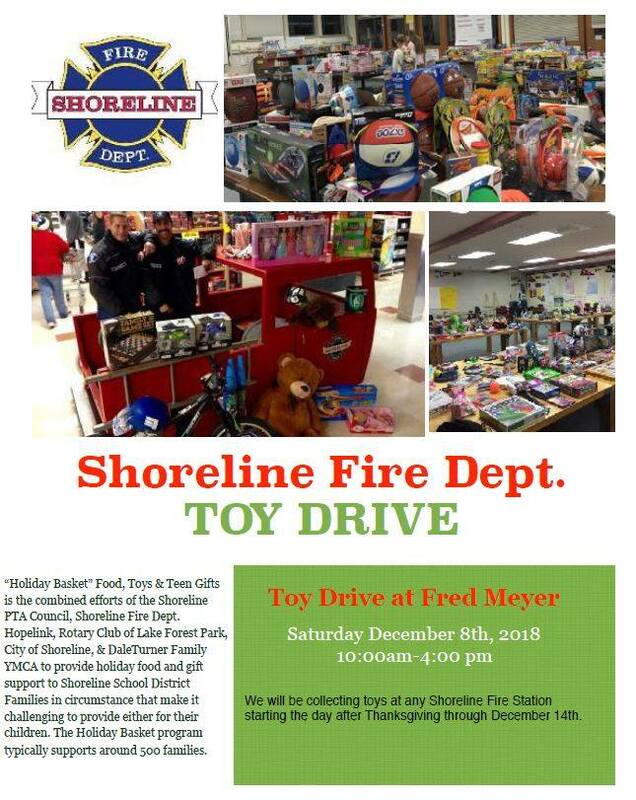 This Saturday, December 8, 2018, from 10am to 4pm, members of Shoreline Professional Firefighters Local 1760 will be standing outside of Fred Meyer, asking you to donate new toys. The firefighters partner with the Shoreline PTA Council to provide toys for children in need in Shoreline Schools. This year, 700 children, aged 0-9 years are registered for Holiday Food Baskets, Toys and Teen gift cards. New toys and gift cards can also be dropped off at any Shoreline Fire Station until December 14th.